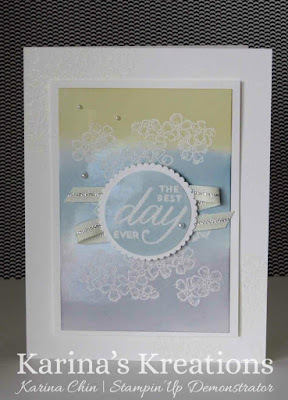 Karina's Kreations: Stampin'Up Birthday Blossoms! 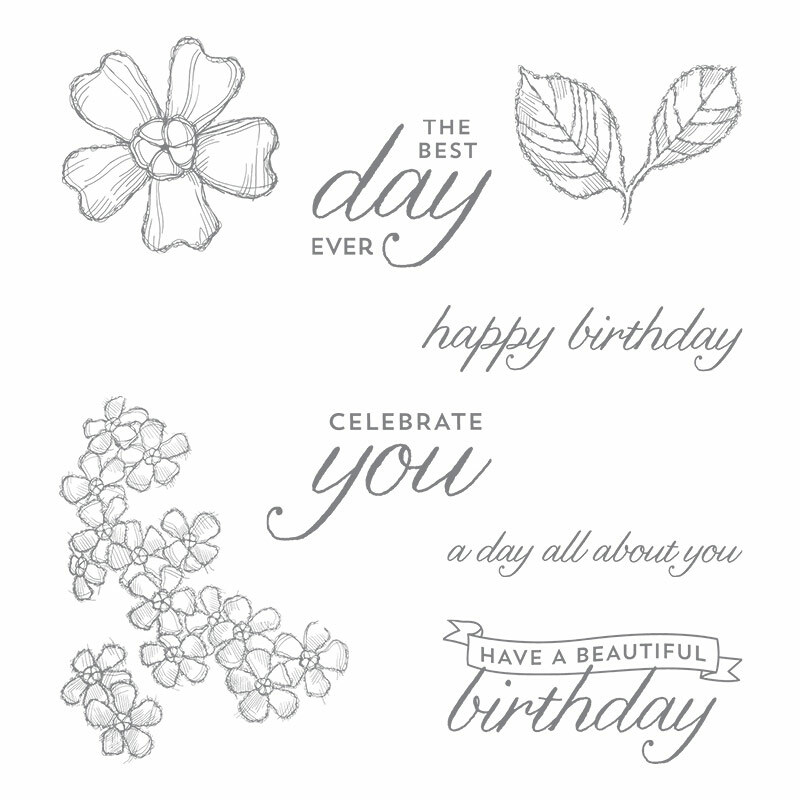 I'm so excited that Stampin'Up is selling glossy paper again. It will be available in the new June 1 catalog. Glossy paper is great for a lot of fun techniques. I made this cute card using the Birthday Blossoms stamp set for stamp set of the month class. 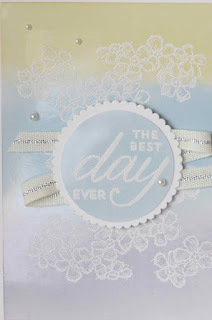 The cost is $30.95 and includes the stamp set, 3 hand stamped cards and instructions to make the cards. Email me at kchin2@telus.net if you're want this month's set. 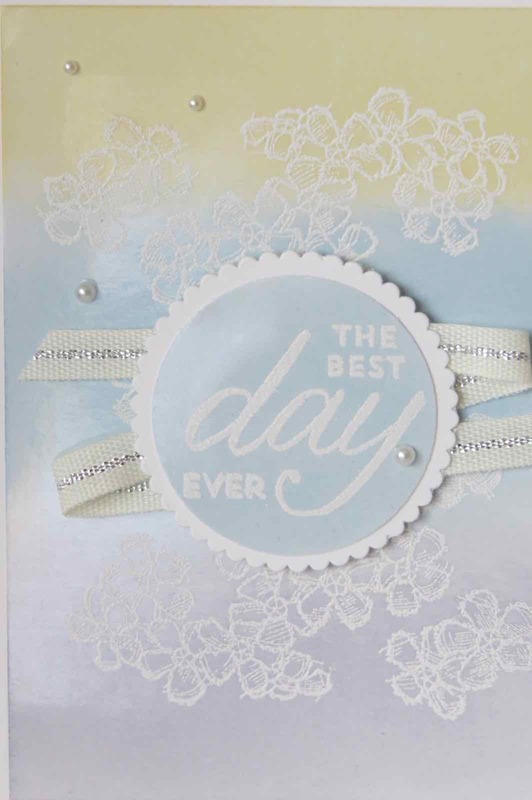 The flower images were stamped on glossy card stock with versamark ink and embossed with Whisper White embossing powder. I sponged So Saffron, Marina Mist and Wisteria Wonder ink over the embossed image. It gives the image a soft pastel hue. isn't it pretty? The greeting was also stamped and embossed on glossy card stock the same way and punched out with the Layering Circle Framelits. The greeting was attached to a scallop circle shape cut out with the same framelits and 1/4" silver natural trim ribbon was attached to the back. I finished my card with Pearl Jewels.